Starting at $150 per user per month, GoServicePro Enterprise delivers a world-class service management solution at a fraction of the cost of traditional enterprise service solutions. Our years of experience in field service software are ideally suited to the unique needs of large, distributed field service operations. Get all of these features for $150 per user per month. Don’t need all these features? Consider the Basic or Professional packages. 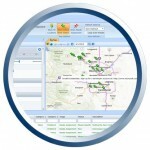 All packages include the dispatch board, mobile app, and work orders.